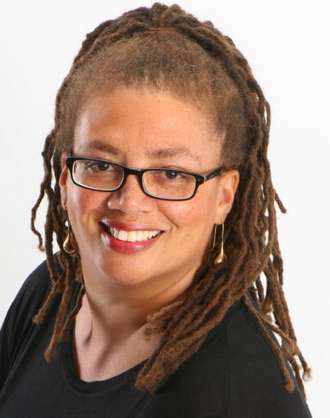 I first read this advice from author Carleen Brice over a year ago, but I never forgot it. It’s often the simplest advice that holds the most meaning, and this beautiful post proves that rule true. Thank you, Carleen, for sharing here on Blurb is a Verb. –Sarah P.
1. Relax, you don’t have to be Meryl Streep. A relief, no? You don’t have to act out the scene with different accents. I don’t do voices (I rarely do with my preschoolers). But I do vary pitch and tone. I vary pacing, speeding up and slowing down at important points. I pause to let emotions sink in. I also use facial expressions to back up what I’m reading. If I smile while I read a funny part, kids and adults will typically laugh. Trust me, adult audiences are much easier. If you’re lucky enough to have people show up for a book event, it’s because they want to hear about your book. They’re rooting for you. I’ve done readings in support of three nonfiction books and a novel and never has anybody come out to heckle me. So, again, relax. 2. Share your excitement about your story. My god it’s your story! The one you worked so hard on. It’s finally published. And somebody, if only the event coordinator, is sitting there waiting to hear about it! If that’s not exciting, I don’t know what is. So act like it. I mean really, if you’re not excited, why should your audience be? When I feel my students’ attention start to drift, I turn the page and gasp loudly at what I see. Without fail, the kids stop smacking each other or playing with their buttons and look back at the book to see what has wowed me. Now that probably won’t work for adults. The adult version of a gasp is to wrap it up. If you feel your audience slipping away from you, get to a good stopping place and stop. Then ask them what they’d like from the rest of the session. (For example, are any of them writers interested in learning about getting published?) This does two things. It shows your audience you respect them, and it enables you to feel more confident and engaged because you know what they want. 3. Only read your best stuff. The Read Aloud Program sends all volunteers out each week with five pre-selected books. But we don’t have to read all five. If a book doesn’t interest me or I don’t think it’ll grab my students, I skip it. There are some beautiful children’s books that just don’t lend themselves to group reads as well as others, so I don’t read them. This is allowed. After the kids in my class sit crisscross-applesauce and use their listening ears for three whole stories, they want a little sumthin’ sumthin’ for their effort. So do grown-ups. Your audience is giving their time and money to come out to a book reading. That deserves a treat. 5. Have a plan, but be flexible. How many times have I shown up at my Head Start class with plans to read certain books in a certain order only to find the kids bouncing off the walls or teachers who forgot I was coming (something that can happen at bookstores too)? In which case I know probably one book will do. Works the same with adults. Assess the room and adjust. If you planned to read for fifteen minutes, but something tells you to only read for five, only read for five. Actually, you never want to go on too long. Even the best reader probably shouldn’t go longer than twenty minutes. I never read more than three books to my students. That’s about how long preschoolers can sit still. Adults aren't too different. You’ve heard it before: Leave them wanting more. If you have a really small audience, it’s even more important to be brief. You don’t want to shortchange people, but time seems to stretch when there’s only a couple people in the audience. So those are my tips. Last year, a little boy in my class greeted me for the first few weeks by saying, “No books! Don’t read!” After a few weeks, he started saying, “Only one book.” By the end of the semester after I read three stories, he would beg for another. The last week of class he gave me a hug. Follow this advice and you too just might get a hug from your audience. 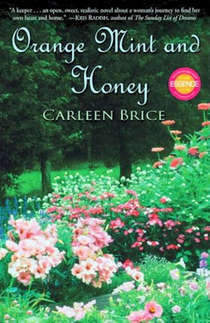 Carleen Brice's debut novel, ORANGE MINT AND HONEY, is the basis for the NAACP Image Award-winning Lifetime TV movie "Sins of the Mother" starring Jill Scott and Nicole Beharie. ORANGE MINT AND HONEY was also an Essence "Recommended Read" and a Target "Bookmarked Breakout Book." Booklist Online called her second novel, CHILDREN OF THE WATERS (One World/Ballantine), a book about race, love and family, "a compelling read, difficult to put down." Essence said, "Brice has a new hit."